Post the grand success of Kaththi, which just completed 100 days at the box office, Illayathalapathy Vijay is busy engrossed in shooting for Chimbu Devan’s Puli. The film has been in headlines, thanks to the star studded cast including Vijay, Sridevi, Sudeep, Shruti Haasan and Hansika Motwani. Sources reported that the cast of Vijay’s 58th film is just about to get more starry as Power Star Srinivasan is being considered for a role in Puli. The ace comedian who rose to fame with his film Kanna Laddu Thinna Aasaiya, recently appeared in a small role in director Shankar’s I and sources suggest that he is being considered for a role in Puli too. But a little birdie close to the Puli team has confirmed that they are just mere rumours. Powerstar or Rajendran have not been approached to play any roles as yet, the source added. Where as Imman Annachi, Thambi Ramaiah, Sathyan, Karunas, Robo Shankar, Vidyullekha Raman are other comedians part of the team. Power star Srinivasan is busy shooting for Shakthi Chidambaram's Jaikura Kuthirai, in which he plays a pivotal role. 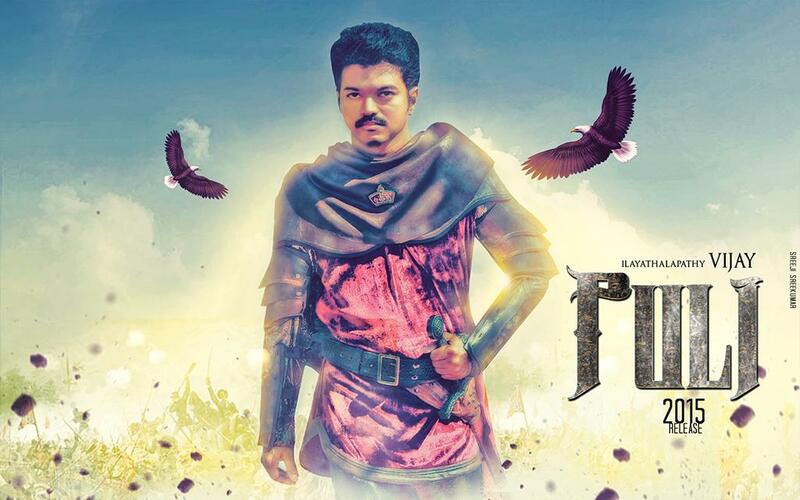 Currently Vijay is busy shooting for Puli in the outskirts of Chennai at Adityaram studios. Talkie portions involving him and Thambi Ramaiah are being canned.